Are there any restrictions to what I can eat in treatment? Like any orthodontic treatment, there is a short adjustment period. 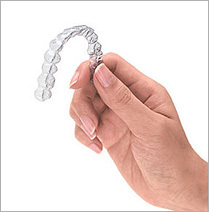 The more you speak with aligners on, the quicker you will adjust.